Small Business Snapshot: Who’s Alan Anyway? Last year, for the first time in our firm’s history, we launched a creative ad campaign. 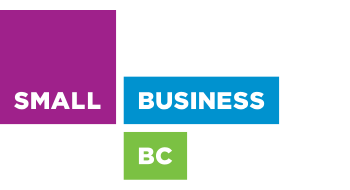 We’ve had a lot of fun with it and it’s generated quite a bit of interest — both in our BC business community and online. Creativity and accounting seldom go together, but in this instance it worked. We’re often asked, who is Alan? Or more often people will say, I want to BE Alan! Alan is a composite of the clients that we meet with every day. He has a growing business, an active family and a desire to do great things. He loves adventure and wants more of it in his life. We get that. Alan is reasonably good with numbers – he can keep his chequebook balanced and even run a decent spreadsheet. But as his business has grown, his available time has shrunk. He wants to focus his efforts where they matter the most. He needs to know that he’s not missing anything and he needs someone to summarize his best options honestly, in plain language. Tax regulations? Not on his radar. But accounting and tax strategies that can accelerate his company’s growth? That’s where things get interesting, and where Alan’s business gets a big boost. How can you be Alan? How can I improve the financial wellbeing of my company? How can I reduce by my taxes payable? How can I support and finance my business growth? He actively networked with his business contemporaries to find out which business advisors he should talk to. He knew he needed a lawyer and an accountant who knew small business, and who were familiar with his industry. He resisted the urge to listen to his brother-in-law, who is a great dentist (and a wonderful brother-in-law) … but probably not such a great accountant. We want all small business owners to live Alan’s charmed life. The key is information, education and getting the answers you need (even when you might not know the questions to ask!). Get responsible, reliable advice from a trusted professional .. so you can grow your business and enjoy your life. Candace Nancke, FCPA, FCGA is the managing partner at Loren Nancke. She has served as Chair of the Board of Governors for CGA-BC and has been designated as a Fellow of the Chartered Professional Accountants (FCPA), one of the highest honours awarded to accountants in BC. You can reach her at 604-904-3807 in Vancouver, British Columbia.